Any Weather won the 2nd Rocktagon! Music Enthusiast Magazine Awards – so close! Rolling Stone poll: Who should get into the Rock Hall next year? Vote for The Runaways OR Joan Jett and The Blackhearts on rollingstone.com! Rollingstone.com’s weekly poll asks, “Who Should Be Inducted Next Into the Rock and Roll Hall of Fame? The Runaways and The Blackhearts are BOTH eligible, so I think we should give them some love. But be careful: you can only vote once, and only for one artist, so don’t spam them with both bands or the votes won’t count. 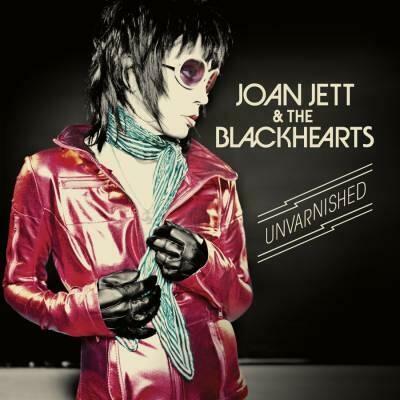 If you vote for Joan, please remember to include The Blackhearts. There are THREE ways to vote – but only vote once, and for only ONE artist or group! On Twitter using the hashtag #weekendrock. Hope the KStew fans bring it like last time! Last weekend, Rollingstone.com asked its readers to vote on the best rock movies of all time–and The Runaways took the top spot! POLL: Favorite NEW Joan Jett song? It’s 2013, which means we haven’t had officially released new music from Joan Jett and the Blackhearts in seven years. That may sound like a long time to wait, but it’s nothing compared to the TWELVE years we had to wait between 1994’s Pure and Simple and 2006’s Sinner. The cool thing about hearing new music like this is that we get to hear the way the songs evolve over time. If you find all the recordings of each of these songs on YouTube, you’ll find many instances where the lyrics have changed. Here are the four new tracks I’ve heard so far. (Thank goodness for YouTube!) Pick your favorites in the poll at the bottom of the post. Which new Joan Jett song is your favorite? VOTE FOR JOAN! Rock and Roll Hall of Fame voting ends DEC 3! The club is dark. You’re in the first row, directly in front of Joan’s mic stand. You’re sweaty; Joan is sweaty. Joan puts down her guitar for the only time this night–she clearly means business. Unencumbered, she leans into you, reaches out her hand, and asks you to bark. Who are you to say no? Here’s another one… No barking this time, but you can’t beat the visuals. So here’s part 4, #25 to #16, in the top 55 best “non-I Love Rock ‘N Roll” Joan Jett songs of all time, as voted on by you. Enjoy! For me, this is one of the most epic Runaways songs, ever. I could get lost in it for hours. Joan wrote this with Kari Krome and Kim Fowley for the album with the same name–the first album without Cherie Currie. Who deserves Goldmine’s vote to join the Rock Hall in 2012? “It’s that time of year again: Goldmine gets to cast its official vote with the Rock and Roll Hall of Fame for the next year’s inductees. The poll is in the sidebar on the right-hand side, about half-way down the page. They will only let you vote ONCE, so PLEASE, PLEASE, PLEASE, spread this around to all of your Twitter, Facebook, MySpace, message boards, and any other social networking sites you use. We can’t guarantee that The Blackhearts will win, but we can at least get them this one vote. Do you know of any other Rock Hall voters that are deciding their votes this way? If so, please post the link in the comments.